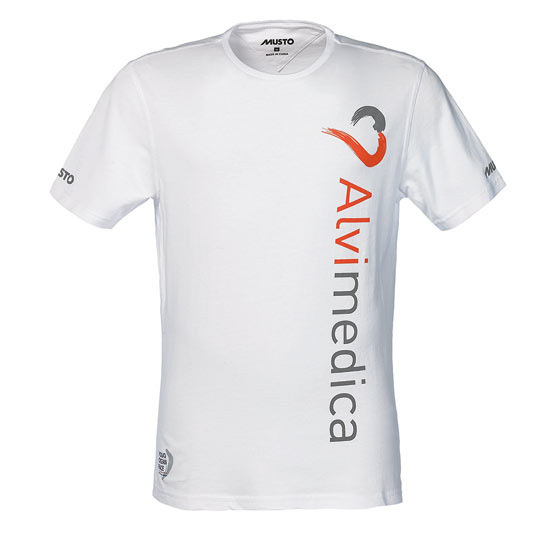 Proudly show your support for Team Alvimedica with this boldly branded 100% cotton T-Shirt. Team Alvimedica are a young American led Team whose dreams of competing in the Volvo Ocean Race became true when Turkish healthcare company, Alvimedica, agreed to support them. The Team’s driving forces are Charlie Enright and Mark Towill who met at University and took part in Disney’s Morning Light project. The film documents a real-life crew training and competing in the 44th Transpacific Yacht Race aboard a TP52. During the selection trials for the movie Charlie and Mark spent time with previous Volvo Ocean Race competitors and the desire to compete in the round the world race was implanted. Charlie and Mark are joined by some fellow Americans but also by some hugely experienced crew mates such as 5 times Race veteran, navigator, Will Oxley.